MOSAICQUE magazine, interview’s the Norwegian Young World Leader who is passionate about having world peace in our lifetime. He is the Chairperson of the Norwegian Chapter of the NGO Table for Two – an organization that is committed to reducing child malnutrition in the world by serving healthy meals for the children. 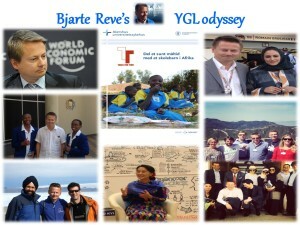 Bjarte Reve is also a decorated Young Global Leader (YGL) @ World Economic Forum (WEF). He served WEF for five years in the capacity of being A YGL. It inspires me to see people pursue what’s important to them and develop their skills to fulfil their dreams. I enjoy working with children and empowering them to attain their full potential and assist them in using their abilities and potential for building the society. I believe it’s important for every society to provide everyone the opportunity for a thriving life. I believe in education for all and affordable access to healthcare. It is important for everyone in the society to consider being a politician whether in India, Africa or Europe. AS an elected official I have done good for my community, BY WORKING TO IMPROVE OUR SCHOOLS, AND PROVIDING TEACHERS WITH SCHOLARSHIPS FOR SKILLS DEVELOPMENT. I REALLY BELIEVE in providing access to free education, is a building block for ANY THRIVING community. I have been fortunate enough to be part of the Young Global Leaders community since 2009, so I will be alumni soon. The community has grown with me, and I have appreciated it more and more over the years. 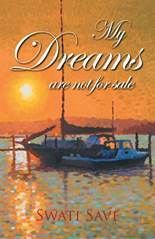 -Where else can you find life-long friends across cultures, nations, boundaries and religion? -Where else does one get a chance as a relative young leader, to get engaged in international projects for the betterment of people? I have been active myself with Table for Two as one example. -Where else does one get a world class team from WEF doing its utmost to help, engage, plan, inspire and enable YGLs to perform better as a team and individually? -Where else does one find a core group of friends that communicates daily though closed social media platforms, with the purpose to help and inspire each other? The YGL community for me is a real support system. It is a support system that has inspired and helped me, to go back into politics and get elected in 2011. I’m running again in 2015 at the city level in Norway. Now with a green platform after joining a small group of YGLs on learning journey to Greenland in June. Seeing the dramatic climate change going on in Greenland, has inspired me to act on a local level, by using nudges and incentives, to help people take greener choices. Bjarte is proud to serve as country Chair for “Table for Two” NGO and achieve its MDGs goals milestone by addressing malnutrition, and child mortality. Bjarte Reve, is Chief Communications Officer at Akershus University Hospital in Norway and Member of the management committee. The 9,000-employee hospital is one of the most modern in Europe and offers specialized healthcare in the Oslo region. Previously, he was Chief Executive Officer of Oslo Cancer Cluster, a non-profit organization set up to accelerate the development of new cancer medication. Formerly, he was a political adviser in Parliament for the Conservative Party. He then moved into the private sector and worked for Merck & Co in external affairs. He has been Director of Strategy for the Southern Norway Regional Health authority, and headed the national healthcare practice for Ernst & Young Advisory and Geelmuyden Kiese Group in Norway. Reve holds an Executive MBA in Strategy from NHH in Norway and a Master’s in Management from BI in Norway. Reve is an elected politician in Bærum, Norway, for the Conservative Party. He has been a Member of the city council and also the city school board since September 2011. Bjarte Reve is the Norwegian Country Chair for Table for Two NGO, based in Tokyo. TABLE FOR TWO (TFT) provides rights balance to feed the school children around the world. When one chooses a healthy meal in a Table for Two organizations like Akershus university hospital, one also provides a healthy school meal to a child in Ethiopia. Table for Two (TFT) was initiated by and is an official affiliate of the World Economic Forum’s Young Global Leaders. We are always looking for more partner organizations around the world to join TFT. It helps your own employees eat more healthy meals, but also provides a warm school meal to a child in need.